Although the building was locked, one of the exterior windows was broken which provided a view to the interior. 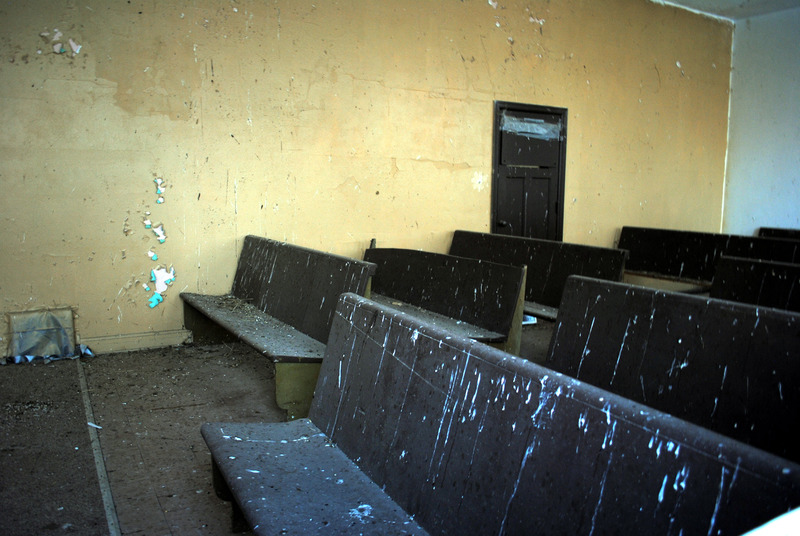 Obviously it is in rough shape, but I was quite surprised to see that the pews still remain in the Chapel. Repeated conflicts between the Native Shoshoni Indians settled near the Bear River and the local militia led to a treaty in 1863 that forever changed the lifestyle of the Shoshoni. As a result, the LDS Church decided to set up a community named Washakie near the Utah/Idaho border in 1880 in order to teach “white” farming techniques and to help integrate the Shoshoni into both American and Mormon society. Using missionaries to direct this effort, by 1886, 250 inhabitants lived here year-round, owning their property in common and maintaining their farms and homesteads. Construction on the small Washakie Ward Chapel began in 1937 and sits in the middle of a large fenced lot. 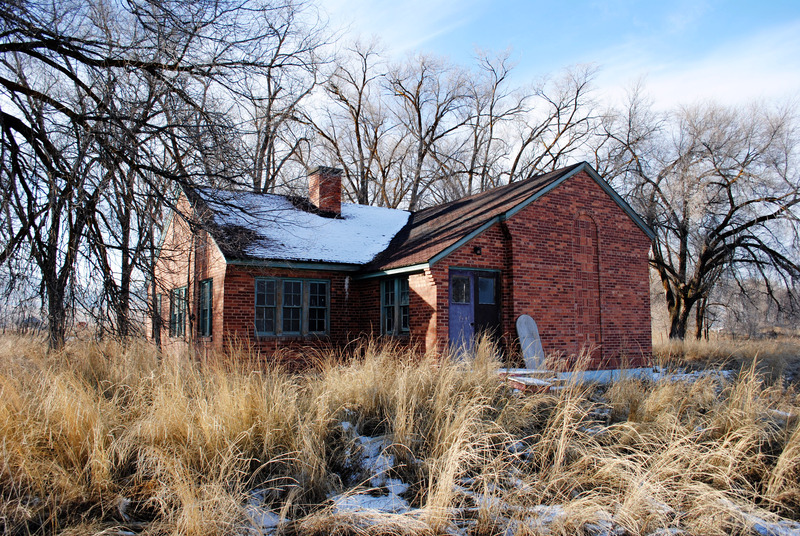 Dedicated on January 22, 1939, the building served this local Shoshoni farming settlement that consisted of about 125 LDS members by this time. Upon completion of the building, the first all-Native American Indian bishopric in the Church was installed to lead the ward with Moroni Timbimboo as Bishop. Out-migration from the community began with WWII and continued until 1960 when the Ward was downgraded to a Branch. In 1966 the congregation was completely discontinued and the building and property were sold. Not just the LDS chapel, but the entire community project was abandoned at this time, with all the remaining families evicted and all 184 acres of property either returned to the tribe or sold. The small brick chapel is the most significant of only a few remaining structures from this community that remains. In 1998 the building, still vacant and in disrepair, was placed on the National Register of Historic Places.